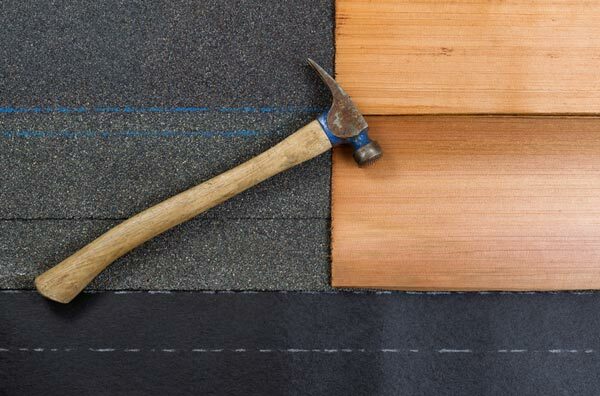 4 Steps to Choosing the Correct Contractor – Lake Orion Roofing, Inc.
Finding the right contractor can be one of the most difficult steps in the process of repairing or remodeling your home. Since the internet is now everyone’s go to for problem solving, looking for a contractor can be a daunting task. With so many search results, how is the average homeowner supposed to know which company is the right fit? Weigh your options with the questions and criteria listed below. Your first priority in finding a contractor should be verifying that the business is licensed and insured. If the company is unwilling to provide you with a copy of either one, stay away! Once they provide a copy, call the state to verify the license. The contractor should gladly offer proof of insurance, both liability and workers’ compensation, in addition to a copy of their license. Steer clear from a company that is reluctant to provide any type of documentation, their hesitance shows that they have something to hide from customers. Your contractor should take the initiative to give you references or show you pictures of recent jobs, or at least happily provide them upon request. No matter what the issue, you want a contractor who is honest with you from the initial phone call to the end of the job. Next, you want to analyze the age of the business and the amount of professionalism exhibited by all staff members. Every company is new at some point, but the highest number of business failures occur in the first three years of a business’ life. Choose a contractor that has been in the business an extended period of time. A company in long standing will have plenty of field experience, and opportunities to work out any kinks in their company, including staff issues. From the receptionist to the crew, every employee associated with the company should maintain a professional demeanor with you at all times. You are the customer, and their job is to satisfy your needs in the best way possible. Step#3 – Are they answering all your questions? The core of the interactions between you and your contractor should be helpful and informative. All of the employees should be able to answer your questions or guide you to someone who can. If the person going over your estimate cannot answer basic questions about different materials or timelines, you should keep looking for another contractor. They should also be willing to go over the contract in depth with you in order to answer any questions you have. Always make sure you carefully read the contract before getting locked into a deal that does not line up with your needs. Trust your instincts when you talk to the contractor on the phone or meet them in person. If you feel comfortable and confident about someone, go with your gut and hire them. Conversely, if someone gives you an uneasy feeling, move on to the next company. You’re placing your home in the hands of a stranger, and you need to be able to trust your contractor.